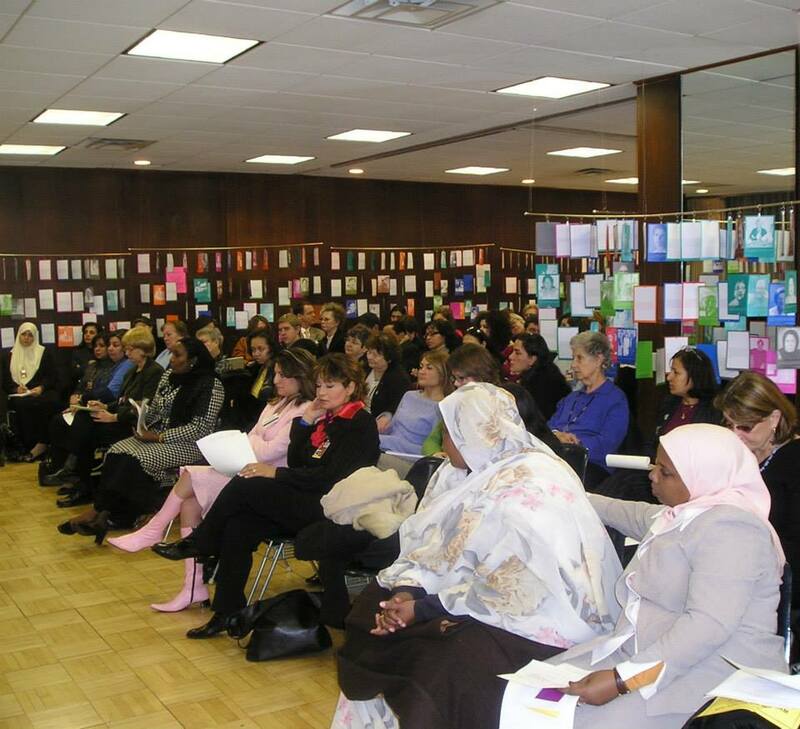 The CSW 49th Session in 2005 reviewed the implementation of the Beijing Platform for Action and the outcome documents of the twenty-third special session of the General Assembly. 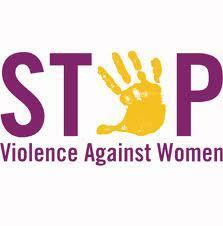 It also looked ahead to strategies for the advancement and empowerment of women and girls. The United States Federation for Middle East Peace was pleased to honor Mrs. Mounira El Solhi with the “2009 Woman of the Year Humanitarian Award” for her outstanding contributions for the fight for peace and empowerment of women in Lebanon and around the world. 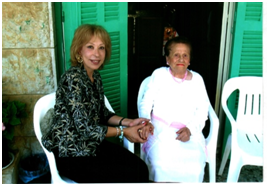 Mrs. Mounira El Solhi was a pioneer advocate for women rights and people with disabilities. She was also a humanitarian with decades of humanitarian and charity work and the examples are numerous. Mrs. El Solhi was born on September 19th, 1911, and was also one of the first women in Lebanon and the Middle East to run for seat in the political scene in Lebanon. She ran for a seat in the Lebanese Parliament in 1960, 1964, and 1968. She was also one of the prominent female leaders of the demonstrations that led Lebanon to gain its independence in 1943. She was one of the earliest women to attend university in Lebanon and the Arab World. Mounira Solhi graduated from the Lebanese American University in 1933. Mrs. Mounira El Solhi founded Al-Amal institute for the disabled in 1959, being the first center of such a kind in Lebanon and the Arab world. Mrs. Mounira has also received several medals and rewards as the Gold Clover from President Nixon in 1971 and the 1972 award from President Nixon for her achievements on the President’s committee on Employment, among others. Mounira Solh was also the vice-president of the Lebanese Council of Women and a life member of the International Council of Women. Fortunately, the USFMEP had the opportunity to collaborate with such a great world peace fighter and supporter to promote woman rights and values in the whole world. 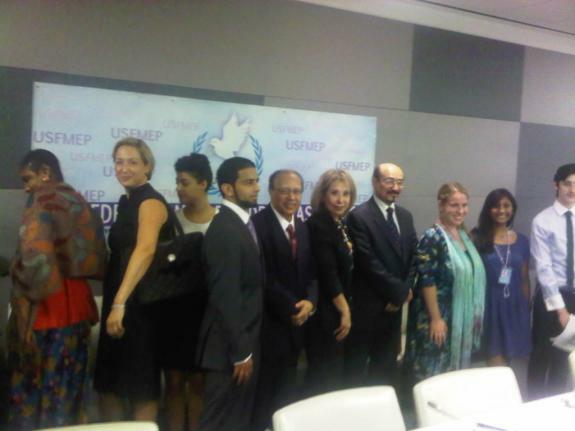 July 25, 2011 – U.S. Federation for Middle East Peace (“UFMEP”) hosted a ‘Youth Interfaith Dialogue for Peace and Mutual Understanding’ at the United Nations high-level meeting on youth, which took place on July 25th and 26th as part of the International Youth Year. UFMEP President and prominent peace activist, Mrs. Sally Kader, hosted this discussion, where youth representing the world’s major religions came together for an open, comprehensive, respectful, and educational panel discussion on the role of religious tolerance in contributing to lasting international peace. UFMEP believes that the youth of the world are an untapped resource for change that can be mobilized to contribute to the establishment of a lasting global peace. Interfaith dialogues that include the next generation of world leaders are crucial in order to achieve peace and harmony between the different religious groups in the world. In reaching closer to this vision of peace, the interfaith dialogue provided a platform for further communication and collaboration between people of various religious and cultural backgrounds. 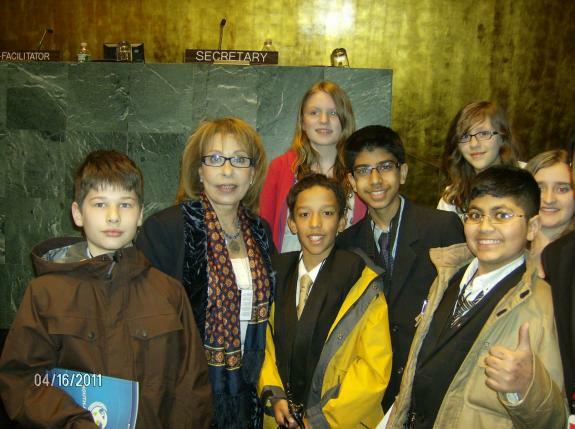 April 15, 2011 – United Federation for Middle East Peace (“USFMEP”) hosted a significant Model United Nations (“UN”) event for students from the world-renowned Montessori schools in the General Assembly Hall of the UN Headquarters in New York City. Prominent peace activist and UFMEP President, Mrs. Sally (“Salwa”) Kader, hosted the event. The acclaimed Montessori schools have been lauded around the globe for their unique and exceptional approach to education. USFMEP received outstanding middle and high school students from these schools and educated them on the United Nations system and its procedures, thereby exposing them to a system which they may one day partake in. The successful event was another way to further one of UFMEP’s core objectives to mobilize ordinary members of society, particularly youth, to contribute to the establishment and preservation of lasting world peace. 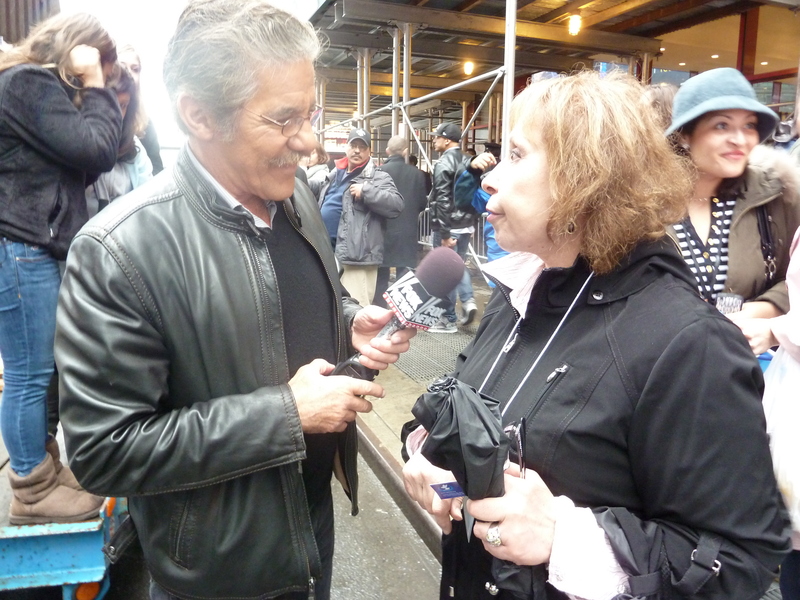 March 6, 2011 – United Federation for Middle East Peace (“UFMEP”) participated in an interfaith rally consisting of a broad coalition of over 75 interfaith, nonprofit, governmental, and civil liberties groups that rallied support of equitable civil rights for all Americans. 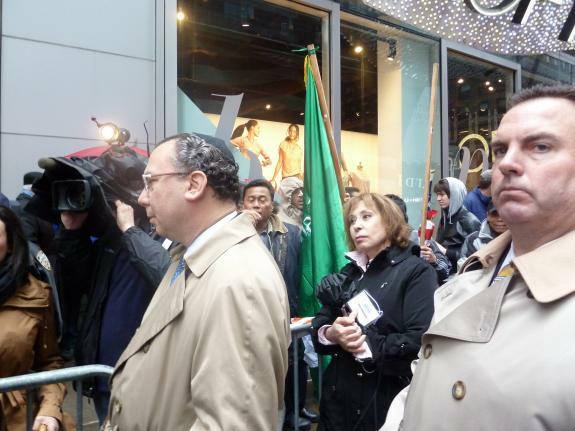 This coalition had been formed in response to upcoming congressional hearings led by Peter King (R-LI), which have undermined the civil rights of Muslim and Arab Americans. Mr. King and his chosen expert witness, Zuhdi Jazzer, share a history of repeating incorrect and distorted views of the Muslim and Arab communities of the United States, creating more division and perpetuating stereotypes. Organizers of this rally believe one can be a loyal Muslim as well as a loyal American without conflict, and a number of our fellow Americans support this view. The rally centered around the slogan “Today, I Am a Muslim, Too” where Muslims and non-Muslims alike joined in solidarity and compassion. Rally-goers stood together against bigotry caused by anxiety, misinformation and ignorance to show Congress a united American community, which seeks to strengthen – not dilute – our bonds of friendship and trust. 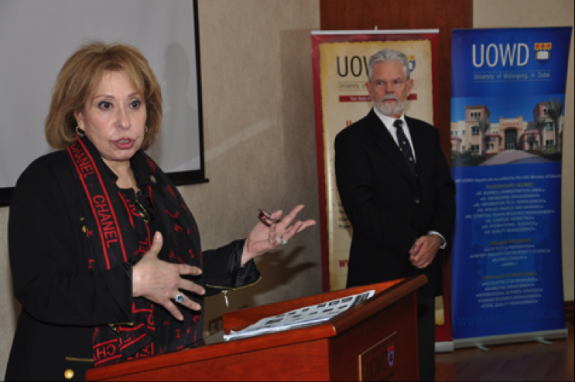 December 12, 2010 – Renowned peace activist and President of UFMEP, Mrs. Salwa Kader, spoke to students at the University of Wollongong in Dubai (UOWD) on the topic of interfaith dialogue. President Kader emphasized that misunderstandings, misconceptions, violence and hatred only fuel more problems between different faiths and cultures. President Kader further urged students to develop dialogue between Muslims and non-Muslims and promote peace and understanding. Mrs. Kader’s speech additionally reinforced one of UFMEP’s core objectives to inspire, educate and empower youth and to promote peace-building efforts. March 1, 2010 – Working mothers in the public sphere are under extreme pressure from society due to their varied roles as mothers, wives and professionals. As a result of varied functions, working mothers endure many forms of violence that drastically impact their mental and reproductive health. In addition, their diminished capacity to be fully functional affects the entire family and frustrates upward mobility. The panelists analyzed and discussed the plight of the working mother in this regard. In order to adequately expose the suffering of the working mother, the panel examined a case study from Morocco. Additionally, observations from the United States were discussed, as were similarities to the treatment of widowed women.